Look no further!! Come see this gorgeous 3 bedroom, 2.5 bath single family home on the lake in the man-guard gated community of Thoroughbred Lake Estates. 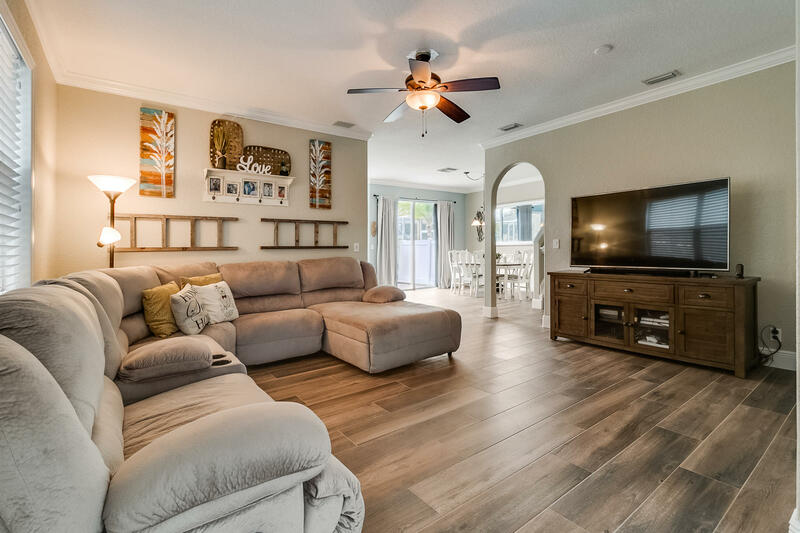 This home boasts New wood look tile recently installed throughout the main floor along with baseboards, surround sound on the main level and in the garage and central vac system throughout the home. Enjoy cooking on your GAS stove in the beautifully updated kitchen. Step outside to a back patio overlooking the lake where sunsets are unbeatable. This home is only a few steps away from the clubhouse where you can enjoy the pool, hot tub, gym, or racquetball court. Come take a look and fall in love!